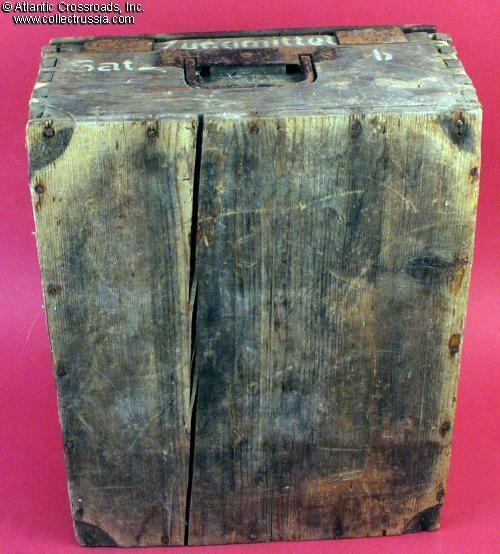 Wood ammo box with hinged lid. 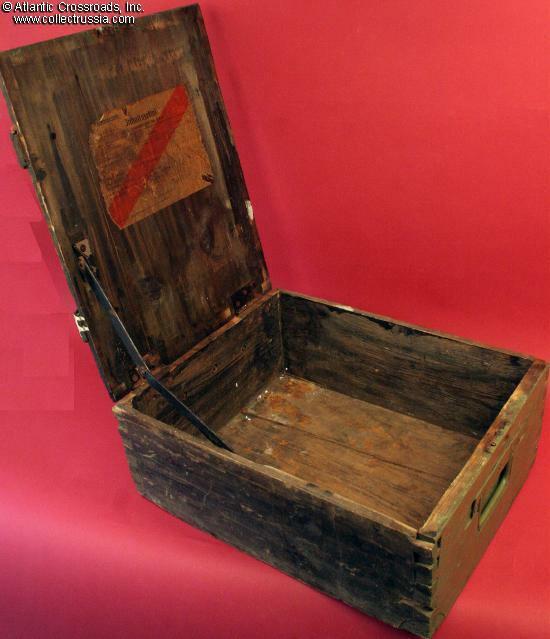 Wood ammo box with hinged lid. With stenciled lettering and a large paper label. 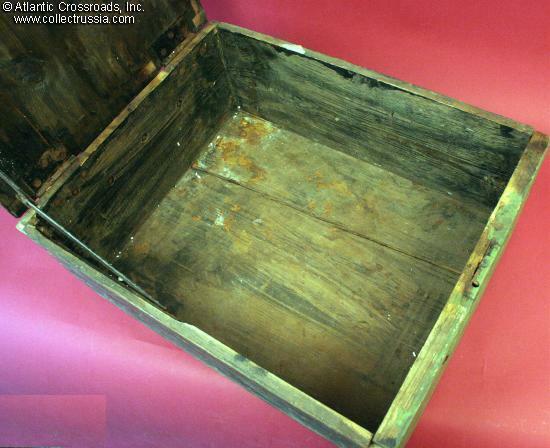 18" x 14" x 7" wooden box, hinged at one end with steel support to hold the lid open in an upright position. Stencils on the lid and one end. 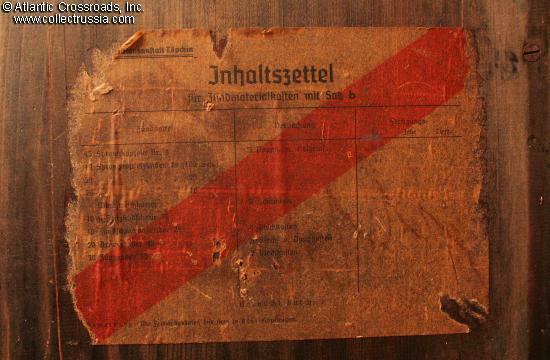 Large paper label on inside of the lid. Very good condition although we cannot guess the reasoning behind the way that it has been painted. The paper label on the inside is completely legible although is has darkened because of the glue that was used to paste it in place. 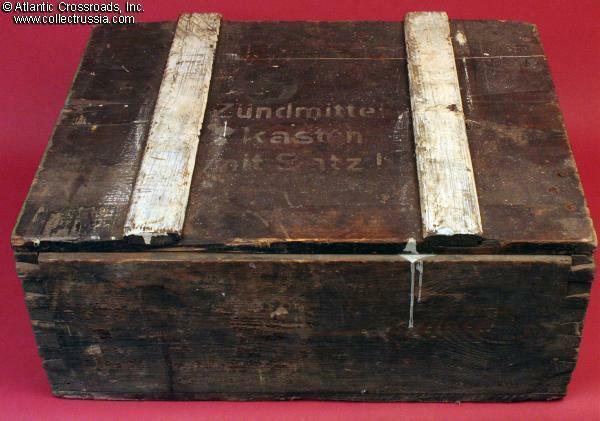 While this box would definitely make a nice addition to a display of Wehrmacht gear, it could also do double duty as a storage box - the inside is quite clean and the hinged lid would make access to its contents very convenient.